Toutes les informations sur la retraite sont disponibles en français sur demande. Looking for some rest, rejuvenation and inspiration? Come and join Martha Carter for a week of relaxing bodywork and movement exploration, giving special attention to lengthening and strengthening the spine. 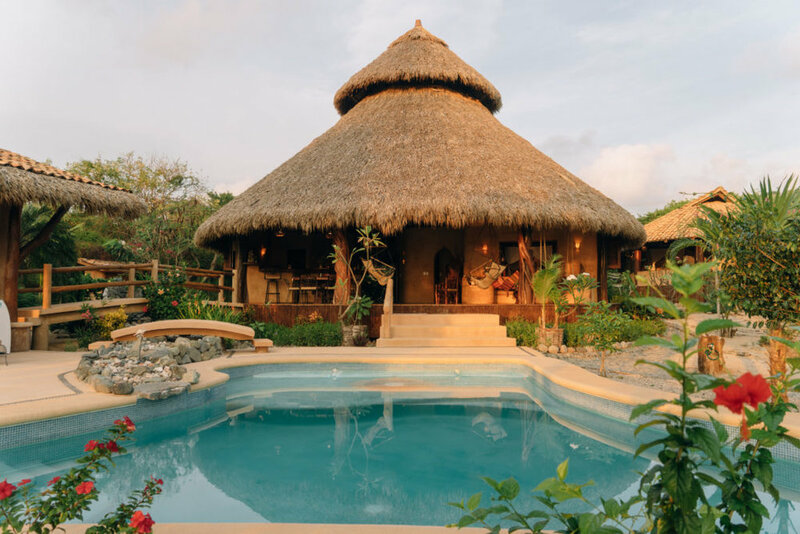 Taught in the beautiful beach studio of Yoga del Pacifico in Troncones, Mexico, it’s a perfect winter getaway, providing just the right balance of yoga, movement, nature, and fun! All levels welcome. No movement experience required. This is an excellent workshop for anyone with a spine, and especially good for people with back issues of all kinds, including injuries, scoliosis, and fusions. Martha Carter’s work is grounded in her training and experience in yoga and dance. She is the director and founder of the Twisted Outreach Project (TOPS). A certified yoga teacher (hatha), and scoliosis specialist, she has studied for several years with back care experts Elise Browning Miller and Deborah Wolk, and attended medical classes at the Iyengar Institute in Pune, India. 7 nights accommodation, double occupancy, in ocean-front rooms. 2 catered meals (brunch and dinner) per day, plus morning snacks. Transportation to and from Ixtapa/Zihuatanejo (ZIH) airport (participants are responsible for airfare to and from the retreat). Direct / inexpensive flights sell out, so book soon to get the best direct flight at the time of your choosing! Participants will stay at beautiful neighbouring beachfront palapas (like the charming Merece tus Sueños), just a five minute walk from Yoga del Pacifico where classes will be held. The villa has direct access to ocean swimming on Troncones beach, as well as a beach-side swimming pool. Accommodation is shared, but there is the option of having a private room for an extra charge of $360 USD for the week. It is also possible to extend your stay on either end of the trip. In each shared room, there is a double bed and a single bed. The double beds go to the first participants registered for the retreat. Beautiful, freshly-made Mexican and fusion dishes will be provided by an in-house chef. Juices are fresh pressed, and most of the ingredients are local. Light snacks, brunch, and dinner will be provided. Food preferences will be taken into consideration for all. Single accommodations available for an additional cost of $360 USD for the week. **Participants are responsible for airfare to and from Ixtapa/Zihuatenejo airport. DEPOSIT REQUIRED: $650 USD to reserve your spot. Classes will be held in a beautiful, open-concept palapa with an ocean view, just a five minute walk from accommodations. Troncones is both a rustic and luxurious beach village, overflowing with local cultural flavour, and miles of white sandy beach. It is located about 20 miles north west of Zihuatanejo on the coast of the state of Guerrero, 500 km south-west of Mexico City, on the Pacific Ocean. Air: Air Canada is the recommended airline to travel from Canada. Book early to get direct, inexpensive flights from select cities, including Vancouver. Other airlines to consider are Air Mexico, Interjet, WestJet, and Alaska Air. Ground transportation: Troncones is located about 30 minutes from the Ixtapa/Zihuatanejo airport. Taxis will be provided to and from the airport. Fly into Ixtapa/Zihuatenejo (ZIH) Airport. A taxi will pick you up from the airport and brings you to the accommodations. There will be a morning class, and then a taxi will take you back to the airport. NOTE: It is possible to extend your stay at either end of the trip. Light refreshments will be offered in the morning before class. Make the most of the beach (swim, boogie board, or take a surfing lesson), explore the tide pools, laze in the beautiful swimming pool, nap in a hammock, go for a bike ride, or visit the local vendors and markets on the main drag. Explore the nearby restaurants for delicious salads and smoothies. Bicycles: Renting a bicycle is highly recommended; they are available for a nominal fee. The main Troncones road is almost entirely flat and 3 miles long from end to end. It’s fun to have the freedom to bike from the villa to town and back (taxi service and a shuttle bus are also available). Optional Kayaking through a beautiful nearby lagoon with a local, knowledgeable guide. Relaxation Massage: Relaxation and/or Thai massages are available with a local masseuse in your room. Manicure-Pedicure: A local technician will meet you at the villa. Sliver Jewellery shopping: a local artisan will visit the villa. We hope you’ll join us!! Any questions? Please contact us. Ready to book? Click the link below.